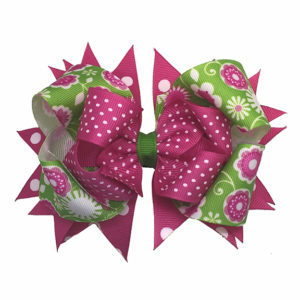 Small pink and brown boutique bow. 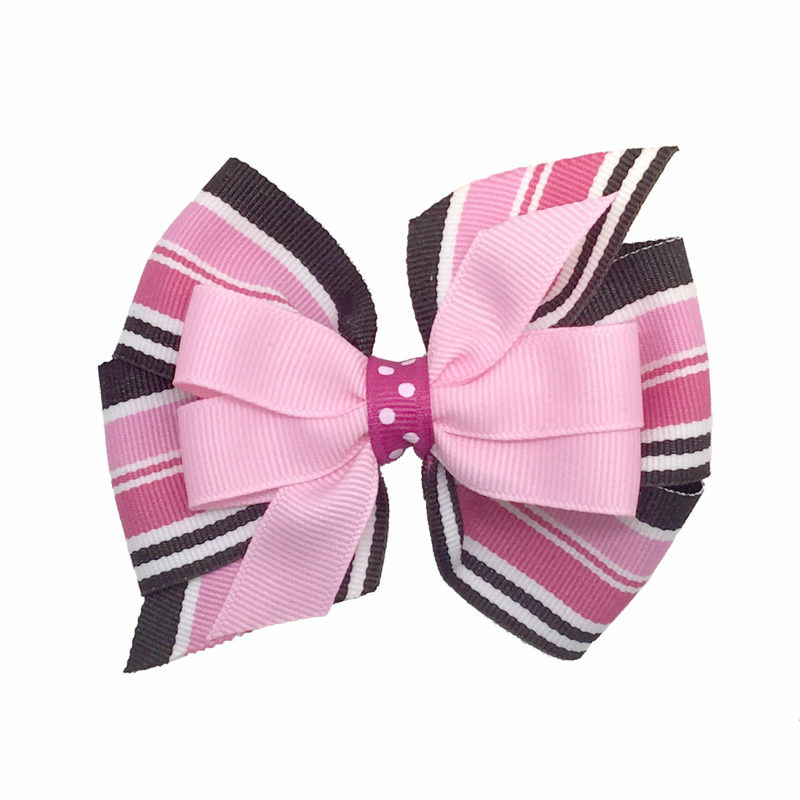 Small boutique bow in shades of pink, white and brown. 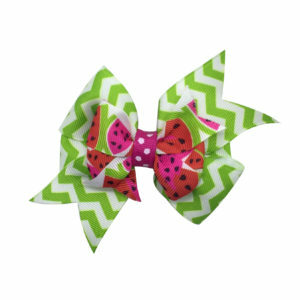 Hot pink polka dot center ribbon wrap. A small (2 inch) french clip is securely fixed to the back. 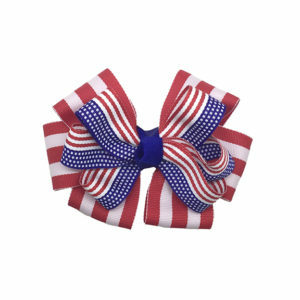 Bow is approximately 4 inches wide across the center.